Now here in Jersey there is no clear byway laws and finding them is down to driving around and looking for protentual tracks which are scarce most are access track for farmers fields but thier is a few goodens out there! I started to get brave!! I was really impressed with the capabilties of this little 4x4, all it had was some old M/Ts from a SJ and it could go anywhere i deared for it to go! 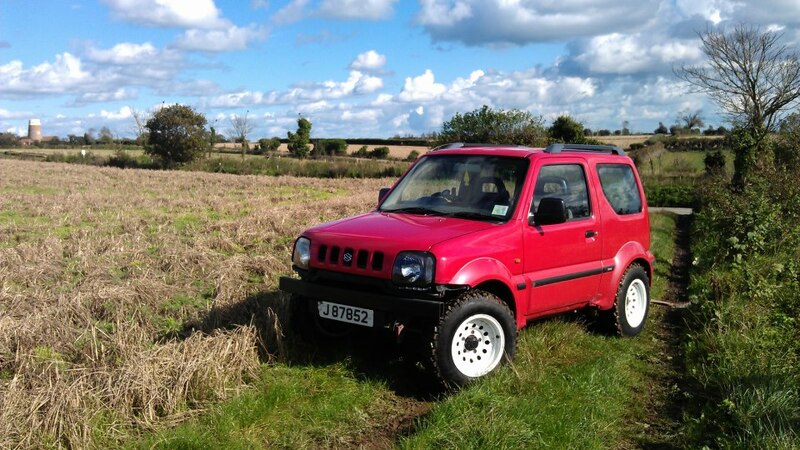 But now it was time to make this little Jimny my own! A coat of white! much better! Done out of 6X40mm Stainless Steel that should be strong enough! That is just about where i am up too hope you enjoyed reading so far!